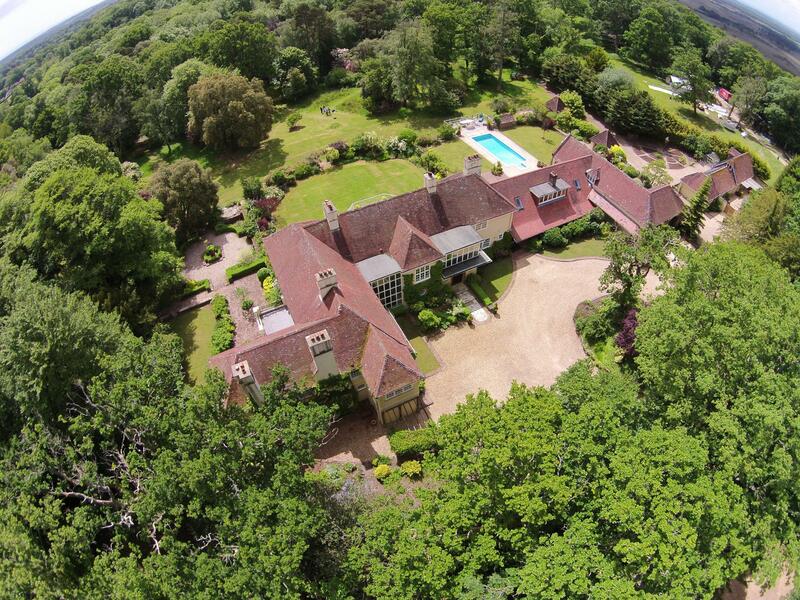 The property is recognised as one of the premier properties in the New Forest and in an ideal location. 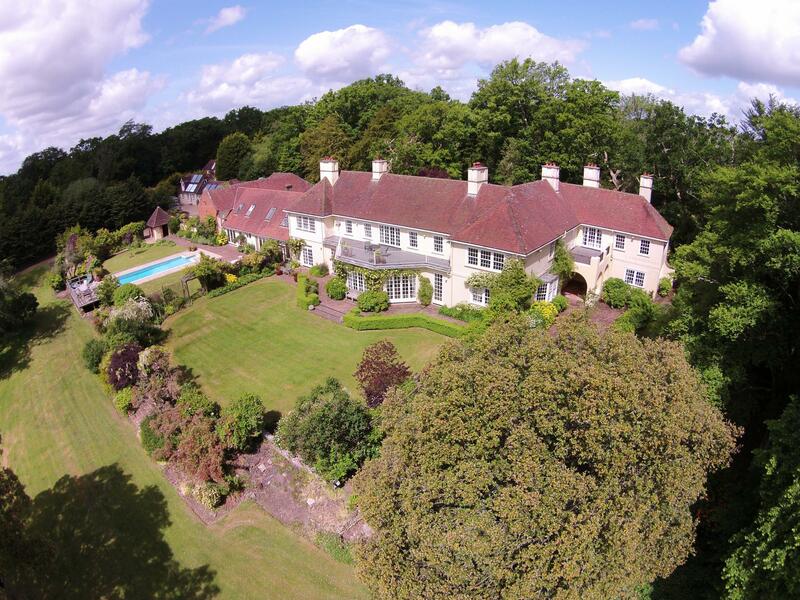 Castletop House is a fine Late Victorian country house and two guest cottages with total living area of about 12,000 sq/ft, set in rounds of about 6.5 acres with a possibility to increase to 12.5 acres. 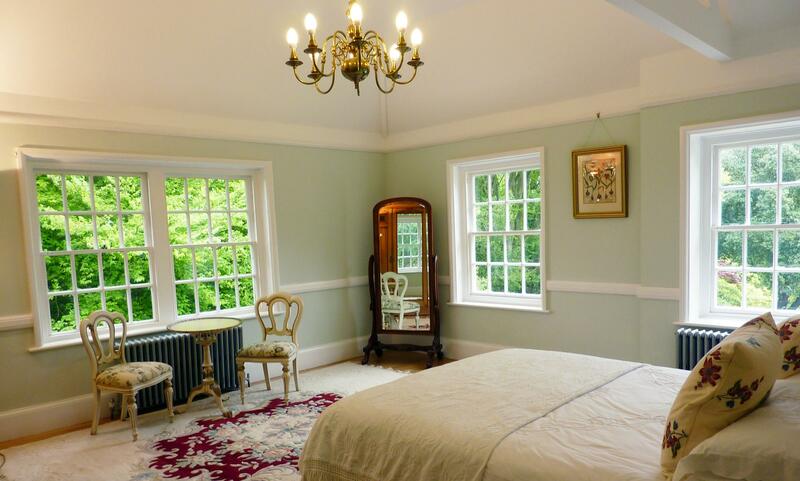 Totally restored by its present owners to modern standards, it has lost none of its original charm or period features including large sash windows, panelling, high ceiling and solid oak floors throughout. 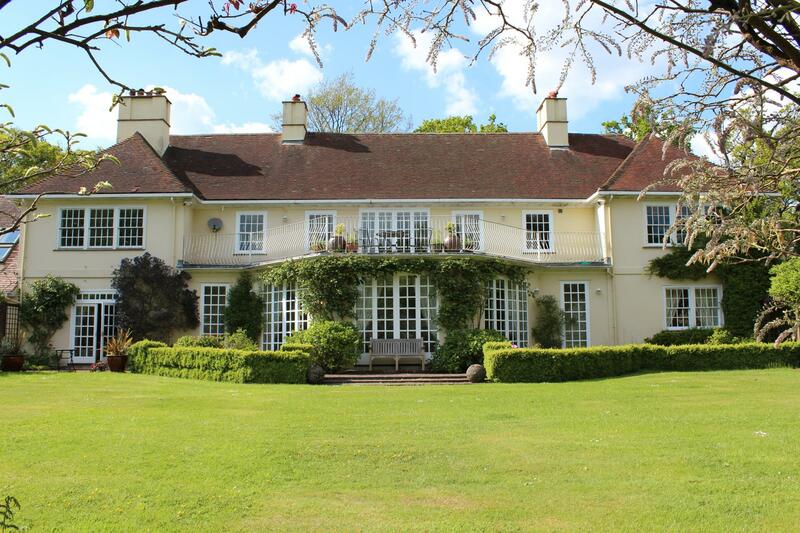 The house’s grand proportions with the south facing aspect give a light and airy feel. 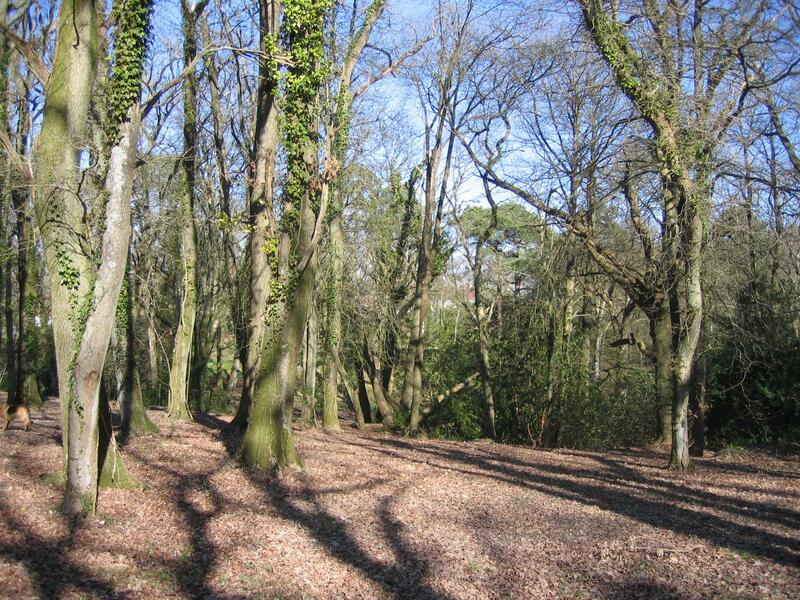 The New Forest was created by William the Conqueror as a hunting park, and the ancient landscape is unchanged since 1079. Now a National Park, management of the area is centred around protection of the local environment and its wildlife. Ponies, cattle, pigs, donkeys and deer roam free following ancient forest tracks. Arthur Clough and his wife Eleanor Freshfield built Castletop in 1898. 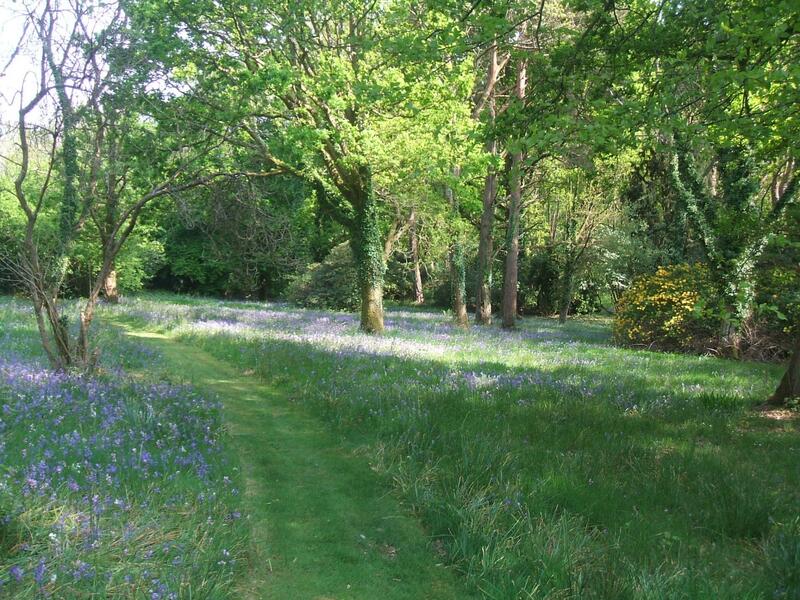 Eleanor’s father was President of the National Geographical Society and he travelled extensively to the Himalayas, bringing back rare and unusual specimens to be planted in the gardens of Castletop House. The Clough’s were associated with Florence Nightingale through Arthur’s mother Blanche. Arthur’s father became Florence’s secretary and was a renowned British poet in his own right. Arthur Clough won several notable prizes for building rural homes around the country. 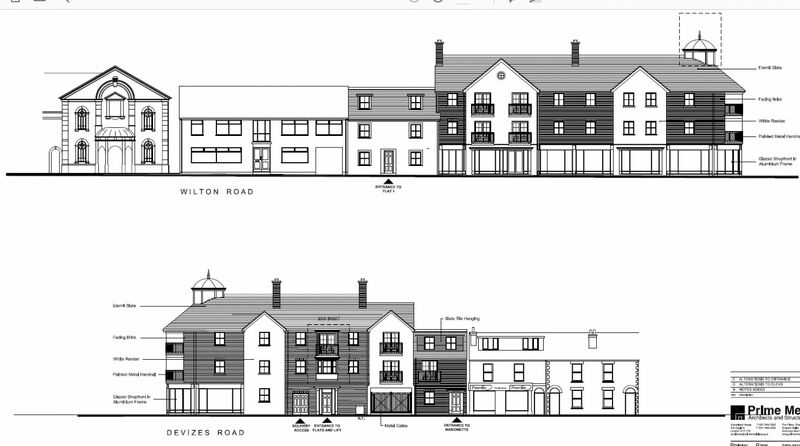 He built many properties and developments within Burley leading to many of the streets and lanes in the area to be named after him. His nephew was Clough William Ellis, the eminent architect who built ‘Portmeirion’ in Wales in 1926. In the heart of a stunning National Park yet with all the amenities close by. 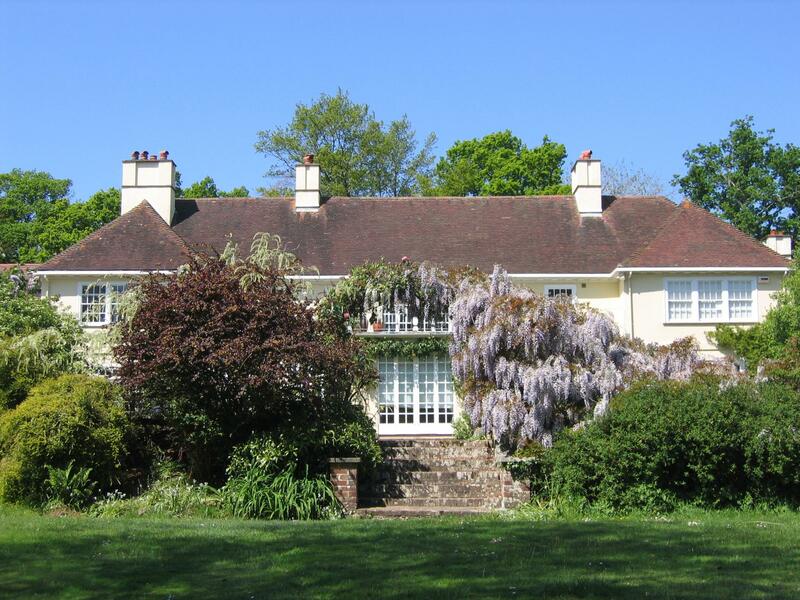 Castletop House is situated on the edge picturesque village of Burley in the heart of The New Forest National Park, only 90 miles from London via the M3. Bournemouth and Southampton airports are easily accessible. 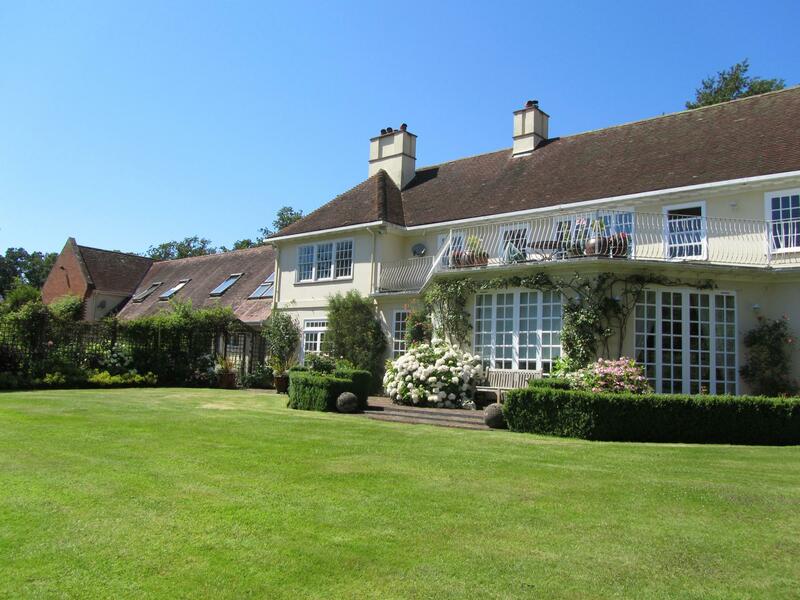 This prime country house is one of the finest properties within The New Forest, which is amongst the most desirable locations in the UK, renowned for its lifestyle and natural beauty. Having direct forest access and its unique situation makes it ideal for equestrian activities and offers total privacy. 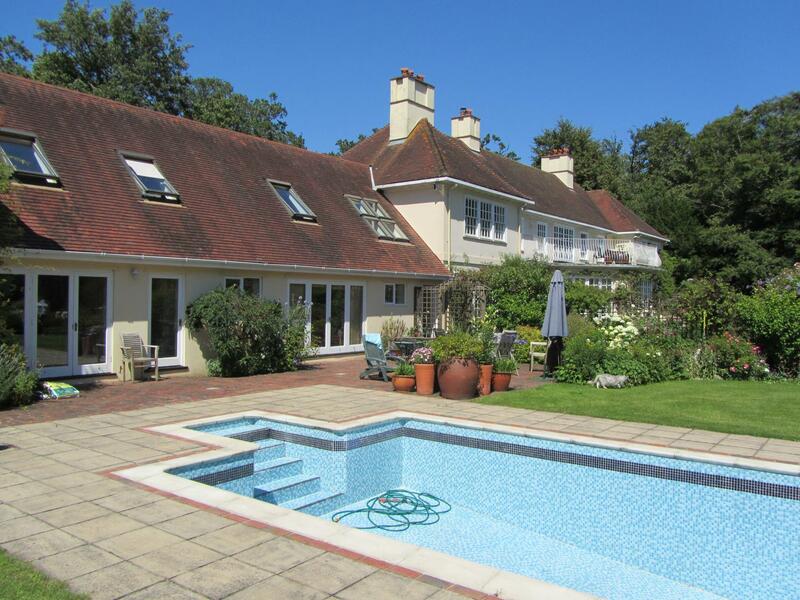 Castletop House is less than 10 miles away from the sailing hub of Lymington. Burley itself is an established centre for walking, shooting, fishing and riding. It is a lively community with its own golf course, village pubs and gourmet restaurants. 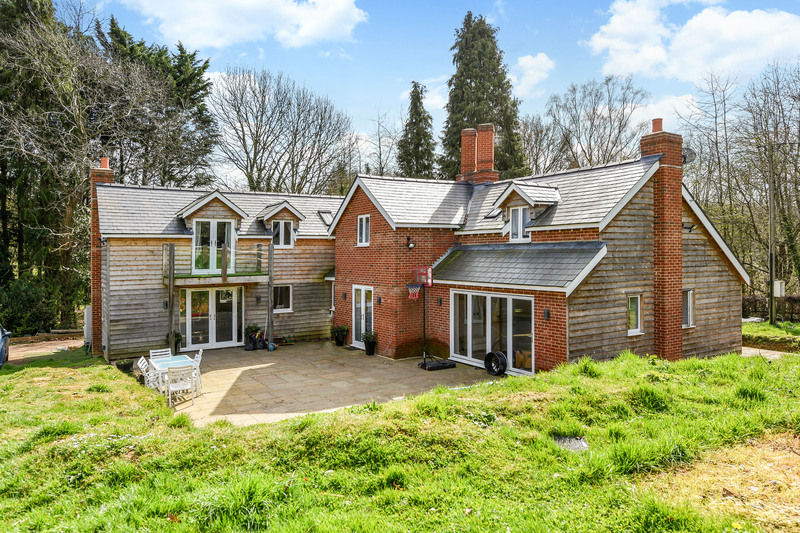 The property is 5 miles of the market town of Ringwood, which boasts all modern conveniences including a David Lloyd Sports Club, Waitrose, Sainsbury. Lidl and boutique shops. It is also just 20 miles from two cosmopolitan sea front cities with a full range of facilities of city living, including hotels and restaurants, excellent range of shop, sporting clubs and airports. 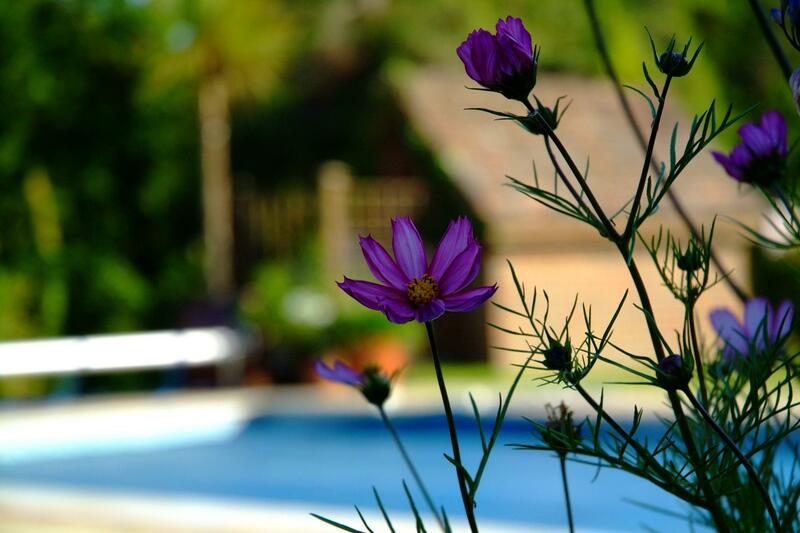 The area has a wealth of secluded beaches of outstanding beauty with easy reach. 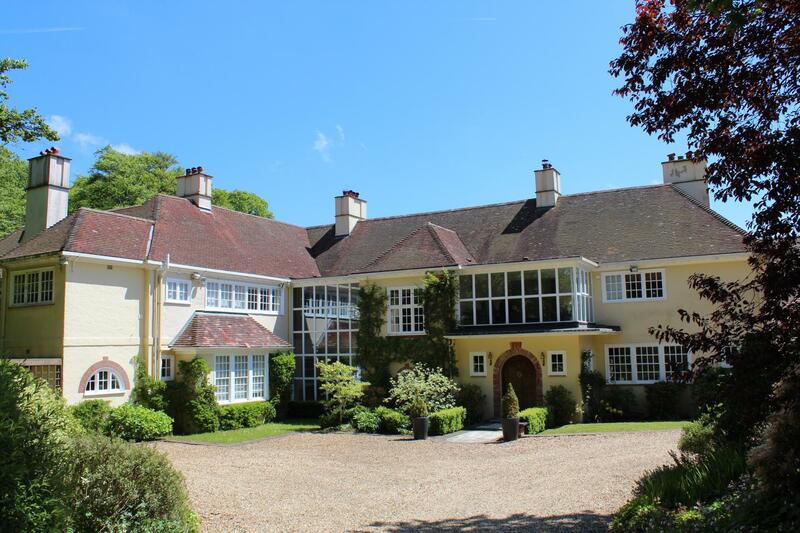 There are several excellent private schools both public and prep schools in the area, including Canford School, Clayesmore, Castle Court School, Durlston Court, Walhampton, Chafyn Grove, Godolphin, Moyles Court, and Forres Sandle Manor at Fordingbridge. Most use Ringwood at the pricking up and drop off point. 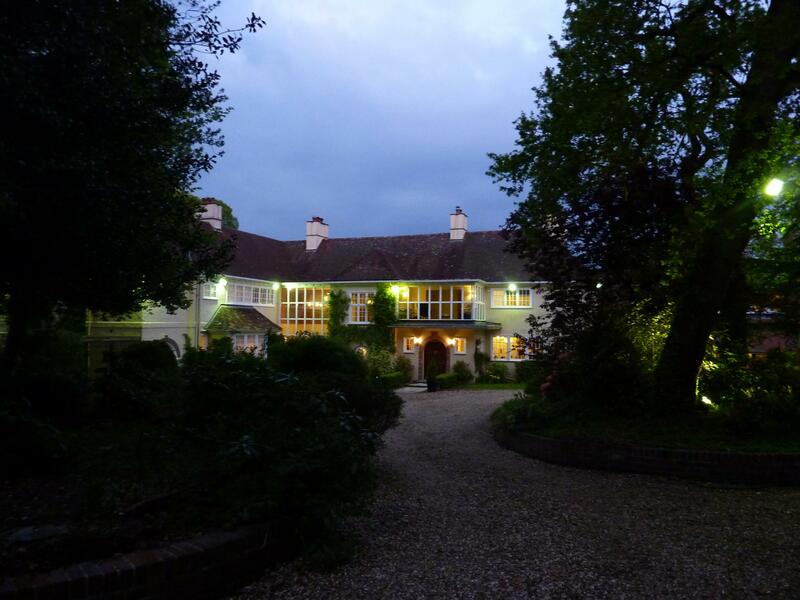 An attractive and original oak front door leads to the entrance hall and galleried, glass two storey atrium. 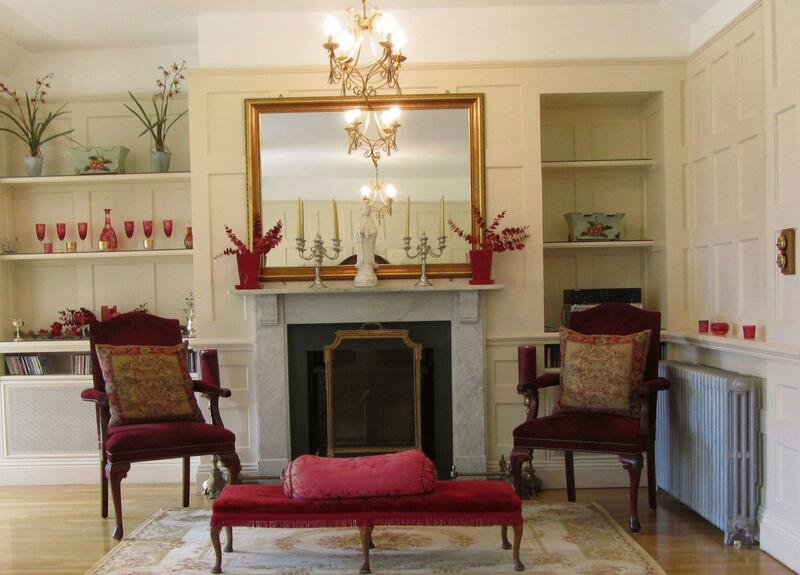 The panelling throughout is a striking feature. 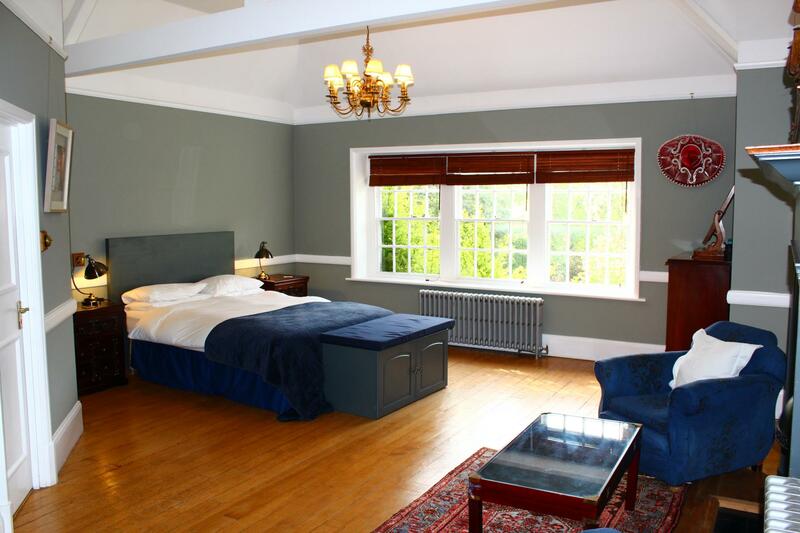 There are 5 main reception rooms on the ground floor: the drawing room, dining room, family sitting room and two further sitting rooms. 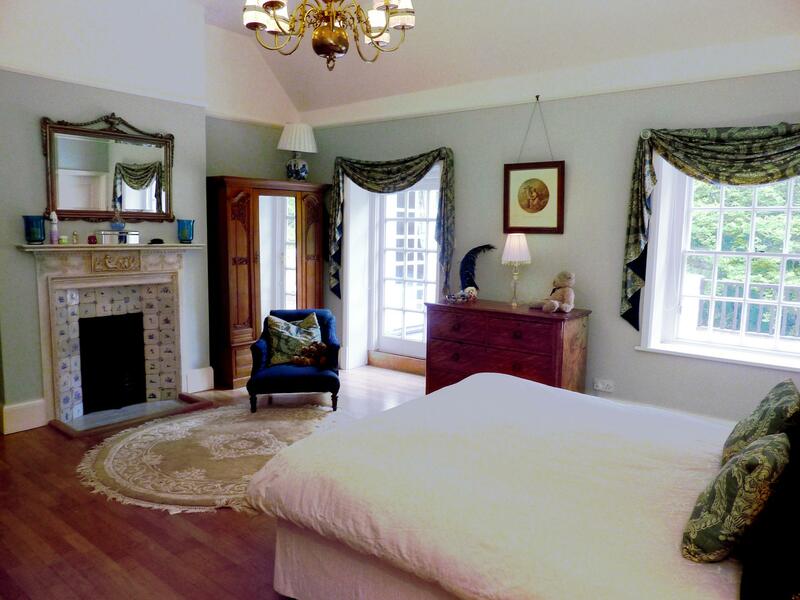 There is also a first-floor games room and a glass study off the master bedroom. 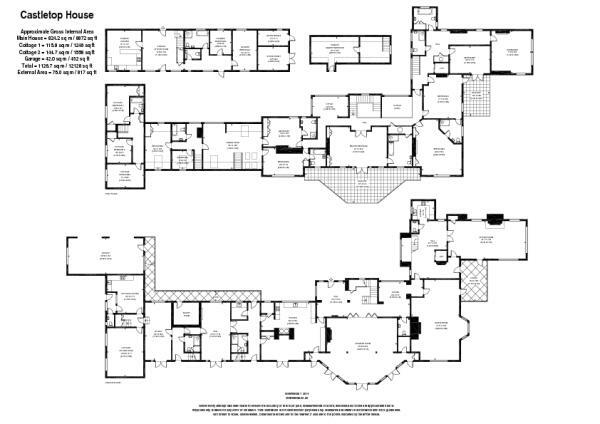 The property has four staircases in the different wings of the house and a lift for easier access to the first floor. Extravagant proportions continue to the dual aspect dining room which can easily hold large dinner parties comfortably and in style. 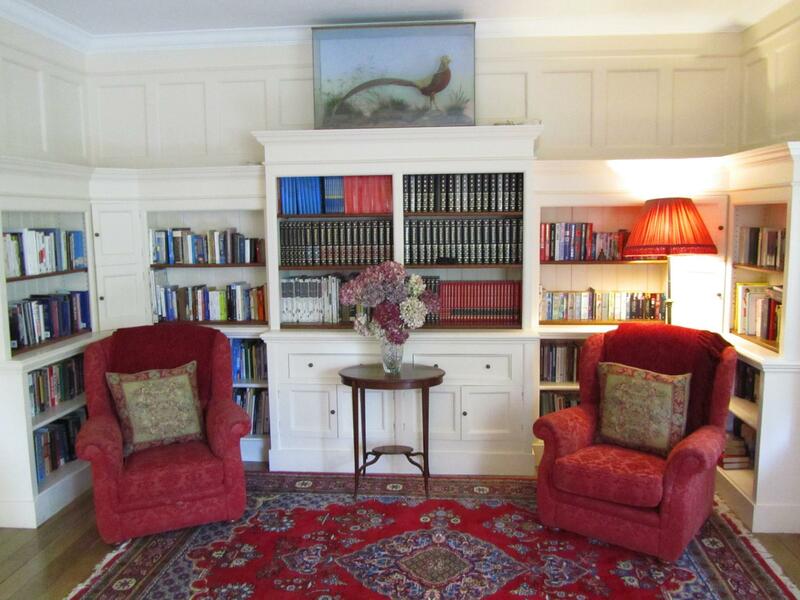 The room is panelled throughout, incorporating a library and panelled alcoves. 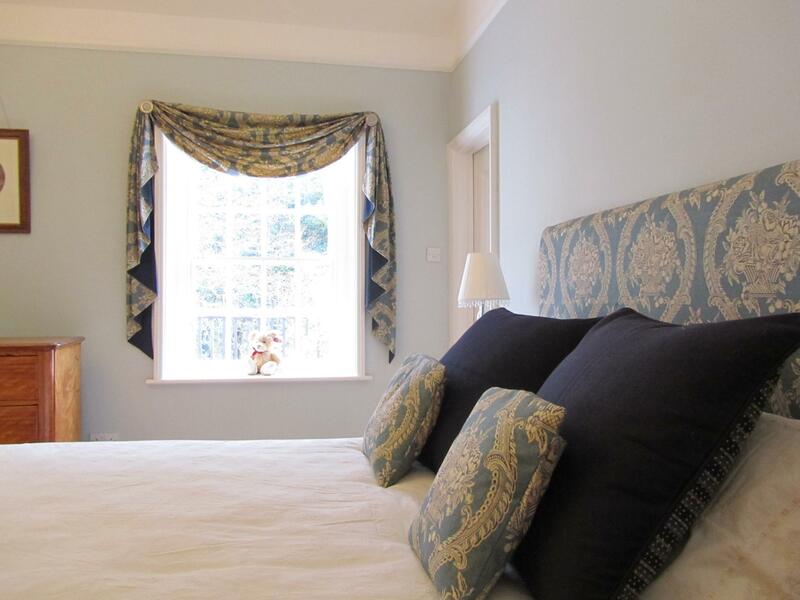 The bay window gives views over the North wing patio to the Lime Trees. 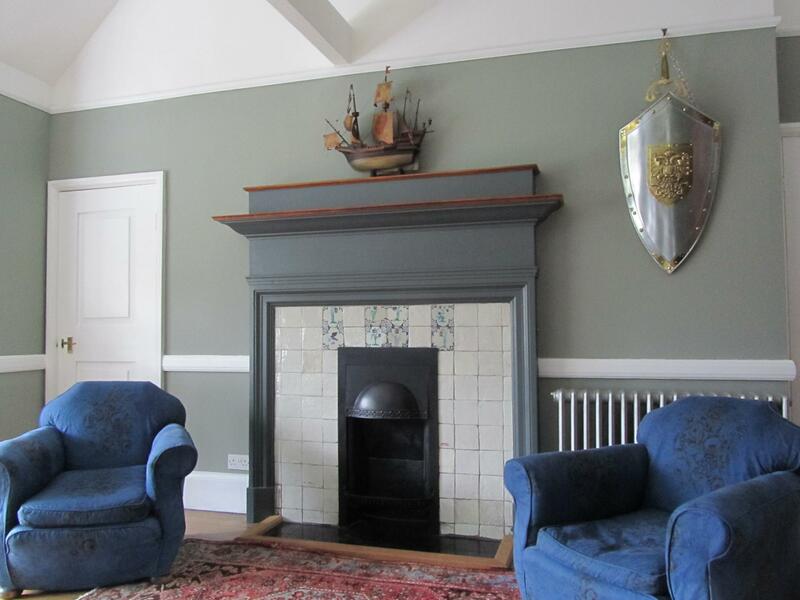 There is a working fireplace with original delft tiles. A glazed door leads out to the arched loggia and gardens. 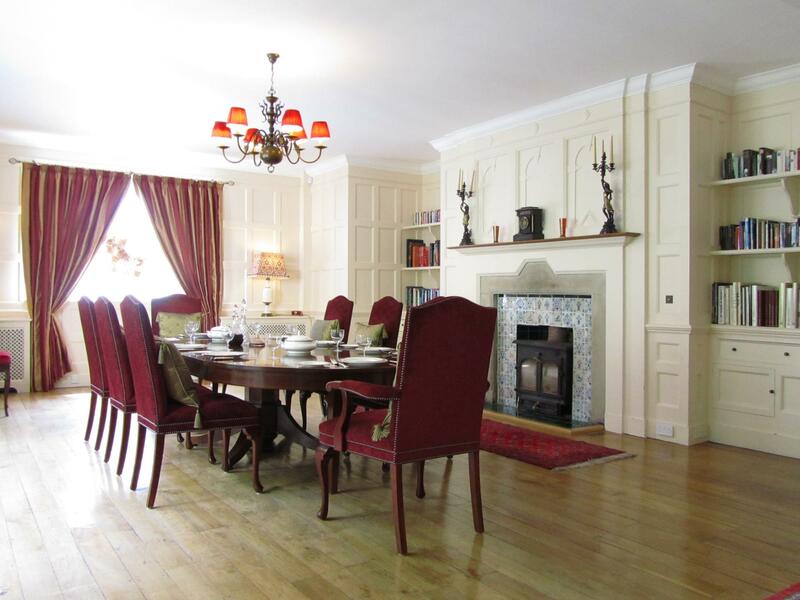 The drawing room is perfect for grand entertaining. Guests glimpse the room from the entrance hall through the folding panelled doors and enter this overwhelmingly impressive room (28ft x 26ft approx.). 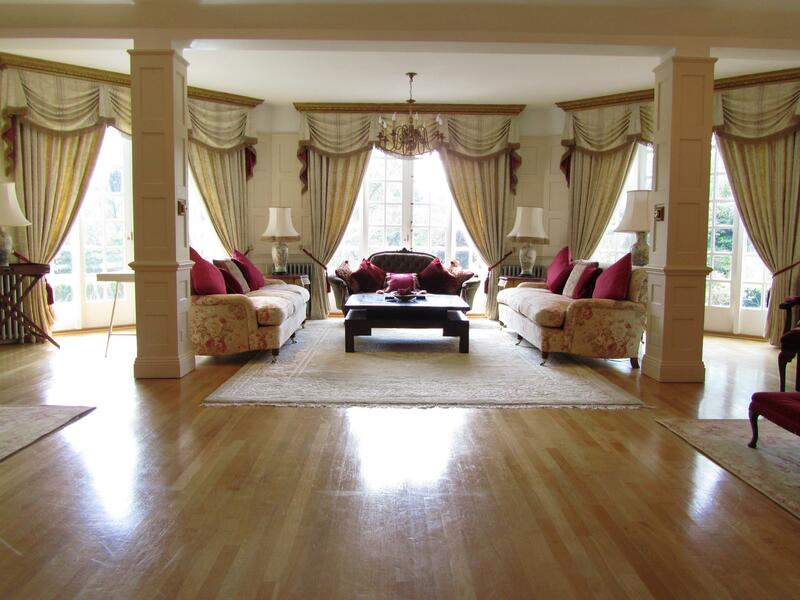 Light streams in through three sets of double French doors leading onto the formal lawns. The large kitchen possesses dining and family seating areas, an AGA, larder, utility room and French doors onto the formal lawns. A secondary kitchen is located near the sitting room to facilitate entertaining in the family sitting room in the north wing. 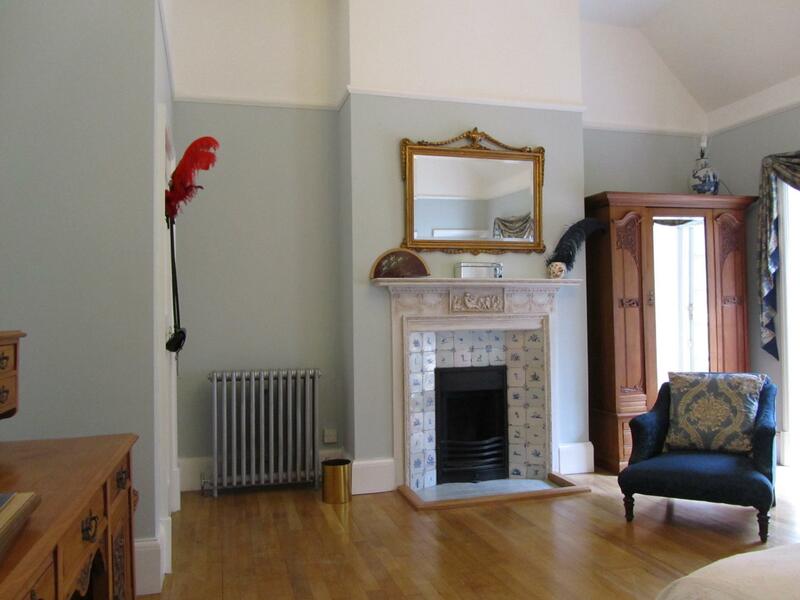 COTTAGE- The entrance hall leads to the kitchen & breakfast room, sitting room and downstairs cloakroom. The second storey consists of 3 bedrooms and bathroom. 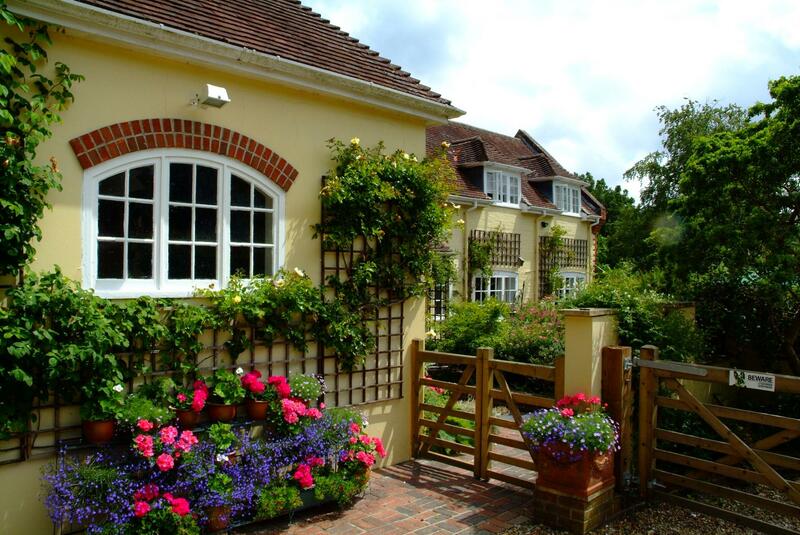 The cottage benefits from an independent walled garden and access from the main house. 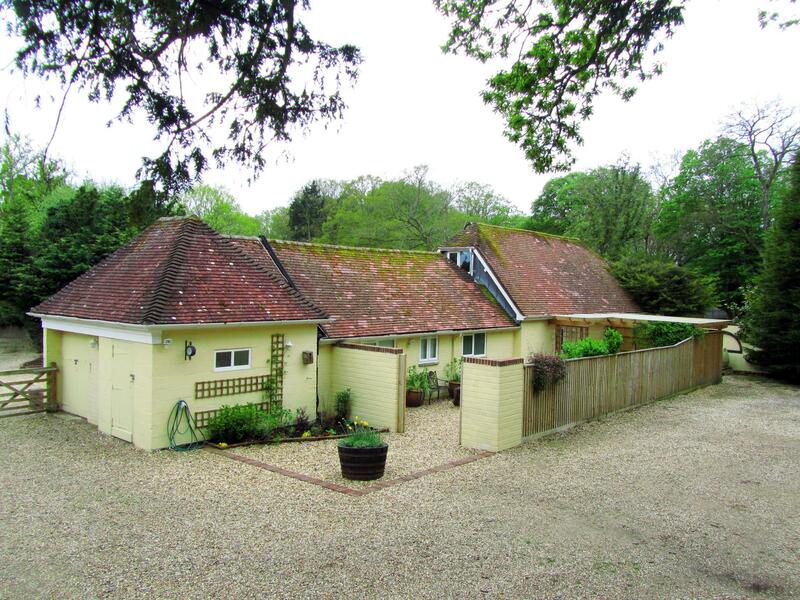 COTTAGE 2 - The converted stable complex consists of a kitchen & breakfast room, sitting room, 3 bedrooms, bathroom and cloakroom with an enclosed garden. The south facing gardens consist of mature herbaceous borders surrounding the formal lawns and provide a beautiful setting for the house. 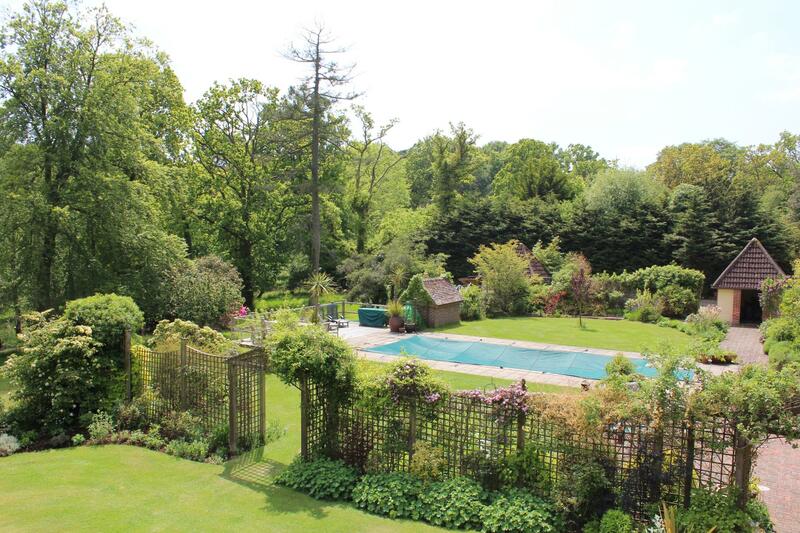 Sweeping lower lawns lead down to woodland gardens. The borders have been professionally designed and well stocked with a large variety of shrubs and perennials. 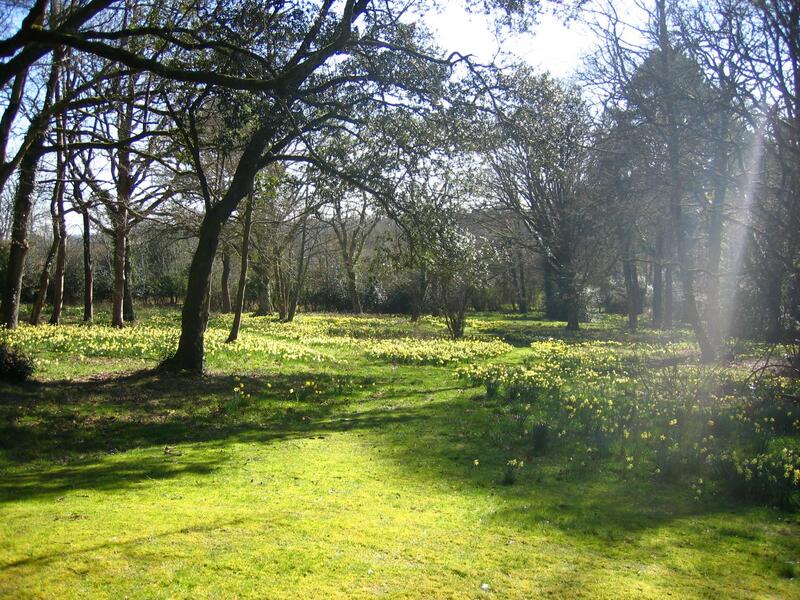 The lower woodland has special and rare flowering rhododendrons, azaleas and mature rare trees, under planted with daffodils and bluebells. One particularly stunning, deep, red, rhododendron has been named after the house. There are many seating areas on the terraces connecting the paved walks, swimming pool and elevated wooden deck. There is a par-terre kitchen garden and greenhouse. The house comes with approx. 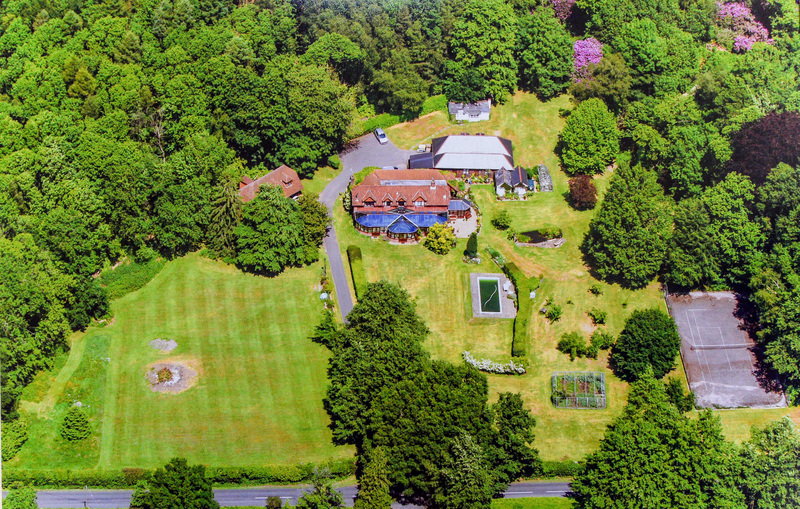 6.5 acres but there is the possibility to acquire a further 6 acres. From London take the M3 towards Southampton and at Junction 14 take the exit for the M27 West (to the New Forest and Bournemouth). Continue onto the A31 towards Ringwood, turning left at Picket Post towards Burley. Proceed to the village and shortly after the “Burley – please drive carefully through the village” sign, and just before the “Burley – 30” sign there is a right turn up a gravel lane called Castle Hill Lane, which you should take. Continue all this lane for a short distance and at the fork take the left turn, the entrance for Castletop House will be found on the right-hand side.